Brock CareerZone Blog: New Year, New Goals! So the new year has just begun and 'tis the season for making resolutions. Maybe you've resolved to hit the gym more often, eat healthy, read more, stay on top of your assignments, find a job for after graduation, etc. Whether your goals are personal or professional, it is always important to check in and re-evaluate in order to ensure you stay on top of them! So many resolutions are never completed or ever even thought of again after January ends, but YOU should make achieving your new year goals a resolution for this year! Today I am going to give you some tips on how to ensure you not only make efficient goals but that you can actually complete them as well! First step: make sure your goals are SMART. Often time the reason that goals are never achieved is because they simply cannot be. There are a series of elements that go along with goal making that need to work together or else a goal will be too difficult to achieve and ultimately be thrown away. This is usually because the goal-maker did not take the time to reconsider and modify the goal to make it work for them. By STARTING with the SMART Goals system you will be on the road to ensuring goal success, but don't forget the importance of checking in once and a while as well. So what do I mean by SMART goals? Specific - broad goals are not easily attained because there is nothing specific to achieve. If you resolve to go to the gym in the new year, write down how many times per week, for how long, what the result of attending the gym should be, etc. Measurable - instead of writing "lose weight" write how much weight, and by what date. That way, if you're on the right track you'll know it, and if not you can change the deadline or work harder to make the original one! Attainable - If your goal is to find a job in the new year, you can't expect to complete that goal within a month. Often goals are thrown to the wayside because the goal-makers do not see results soon enough and become discouraged. Make sure you remain patient, make your goals challenging but not so much so that you can never achieve them, and stay on top of it! Realistic - Similarly to attainable, ensure that the goals you make are realistic to what you really can do. Consider your day to day schedule, noting how much time you might have to dedicate to achieving a goal, as well as external resources needed to achieve a goal. Does the goal cost money? Create a budget! Timely - Always set a deadline for yourself. If you don't create one, goals can be easily pushed back. Even if you do not meet the deadline, this is helpful because you can re-evaluate, consider which elements failed in your SMART Goal planning and figure out how to be successful with goal setting and achieving in the future! I hope these tips are helpful and that you can use them to succeed in the new goals you've made for the semester or year! 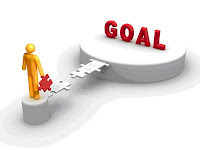 Also, if we at Career Services can help you in achieving your goals, let us know! 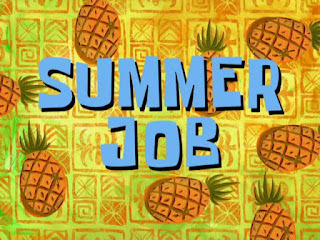 Come on into the centre and any of our Career Assistants will be happy to help you out! We have printed version of goal action forms as well. Good luck and see you all soon! We, at IIBS Bangalore inculcate the global work culture and its principles in our courses in order to better equip our students with adaptive skills, adequately competent to tackle both, intellectual and practical challenges during their career. it's great to be here and read some interesting posts over here i will keep visiting this blog thanks for sharing it with us. It is my first time i visit here. I found so many entertaining stuff in your blog, especially pregnancy miracle infertility discussion. From the tons of comments on your articles, I guess I am not the only one having all the leisure here! Keep up the excellent work. By the way of your writing skills, I must say that you have very good knowledge on the relevant topic and also you study very hard on this topic so that you can able to write that deep which is a very good point and it binds the reader till its completion. On a personal note, I am really impressed with your blog and want to see more and more from you in future so keep posting posts like this. Just love your blog, the way you portrait your blog is quite unique to me and I think that you have also put your soul on this to write such a nice article with us. So thank you for sharing such a nice article with us and hope to see more from you in future. Haq Khatteb Hussain is one of the most eminent spiritual therapists, faith healers and Walli Allah (Friend of Allah) of his time. He is very well known for Karamats (Miracles) .Paralysed people start walking, the mute start talking, the deaf start listening, the blinds start seeing, salty and distasteful water becomes sweet in wells and tube wells, missing people get found , insane and psychotic people gain sanity , drug addicts quit drugs and last but not the least, people on wrong / devilish pathways start following divine and ethical life and make it purposeful. More than 25-30 thousand people visit him everyday for meeting of blessing and free food is served the whole day to all visitors. for more information call us on this number.